The Automobile Racing Club of America (ARCA), Track Enterprises and Menards have jointly announced that the Wisconsin-based home improvement retailer will become the race entitlement sponsor of the July 13 ARCA Menards Series event at Elko Speedway, located just outside of Minneapolis/St. Paul, Minnesota. The Menards 250 will take the green flag at 10 pm ET/ 9 pm CT Saturday night, July 13, and is scheduled for live, flag-to-flag coverage on MAVTV. The Menards 250 marks the sixth ARCA Menards Series event at Elko Speedway. Current NASCAR Gander Outdoors Truck Series driver Brennan Poole won the inaugural race in 2012. Other ARCA winners at Elko include ARCA Menards Series national champions Frank Kimmel (2013), Grant Enfinger (2014) and Austin Theriault (2017). Current NASCAR Gander Outdoors Truck Series rookie Gus Dean earned his second career ARCA Menards Series win in a late-race fender-banging shootout last July driving for former Elko Speedway late model champion Kevin Cywinski. 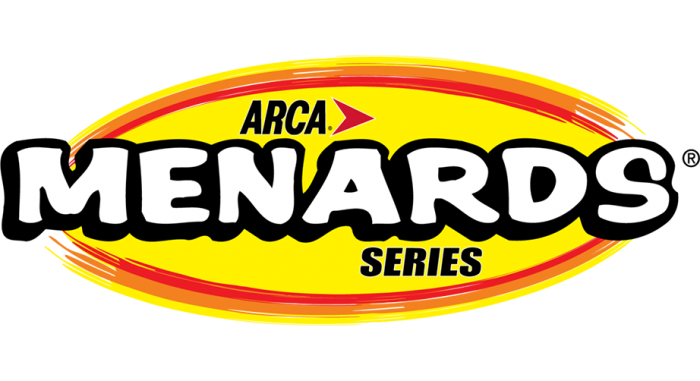 John Menard, along with NASCAR Vice Chairman Mike Helton and ARCA President Ron Drager, announced earlier this year that Menards would increase their involvement with and support of ARCA by becoming the series’ entitlement and naming rights sponsor. The ARCA race at Elko Speedway is the closest to Menards headquarters, which is located ninety minutes east of the Twin Cities in Eau Clair, Wisconsin. The Minneapolis/St. Paul area is Menards’ second largest retail market. The Menards 250 at Elko Speedway will be the sixth race of the 2019 Sioux Chief Short Track Challenge Series, a series within the overall ARCA Menards Series that crowns a champion on races held at tracks one mile in length at under. Kyle Weatherman was the inaugural Sioux Chief Short Track Challenge champion in 2015, while current NASCAR XFINITY Series driver Chase Briscoe won in 2016 followed by series champions Austin Theriault in 2017 and Sheldon Creed in 2018. Race fans will have the opportunity to “Save Big Money” at more than thirty Twin Cities-area Menards stores by purchasing advanced adult tickets for just $20, a savings of $10 from the race day walkup price, starting on June 3. Discounted tickets for the Menards 250 will be available through July 12, the day before the race. Tickets are also available online at ElkoSpeedway.com.